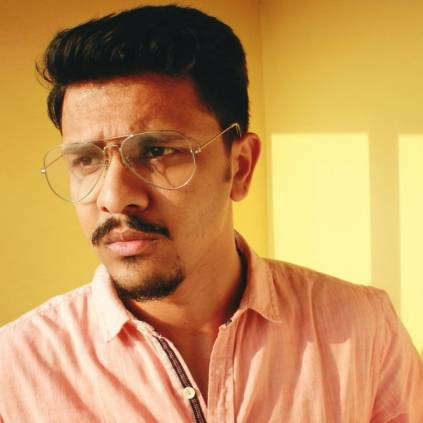 Karthick Naren became a sensation among new age directors after his debut movie ‘Dhuruvangal Pathinaaru’ became a massive hit with unanimous praise from critics and audience. Post that, he directed ‘Naragasooran’, which stars Arvind Swamy, Sundeep Kishan, Shriya Saran and Aathmika. The movie’s release has been delayed due to various reasons. Meanwhile, the director has turned actor in Sundeep Kishan’s next movie ‘Kannadi’. Sources close to us have also revealed that Karthick’s role in the movie is a crucial one. The first look of the film was released recently and received a positive response among the audience. ‘Kannadi’, directed by Caarthick Raju is titled ‘Ninnu Veedani Needanu Nene’ in Telugu. It stars Sundeep and Anya Singh in lead roles, along with Karthick Naren, Poornima Bhagyaraj, Anandraj and others. The film has music by S.S.Thaman. Sundeep is also shooting for his Telugu film ‘Tenaliramakrishna BABL’ along with Hansika Motwani and Varalaxmi Sarathkumar. Stay tuned for more updates. People looking for online information on Kannaadi, Karthick Naren, Sundeep Kishan will find this news story useful.